SCOTTSDALE – Scottsdale officials built the city’s Civic Center in the 1960s to serve as the heart of the community’s civics and arts district. City officials have decided it’s time for an upgrade. City officials released a master plan at a public meeting last month, and they’re collecting feedback about the plan on the city’s website. 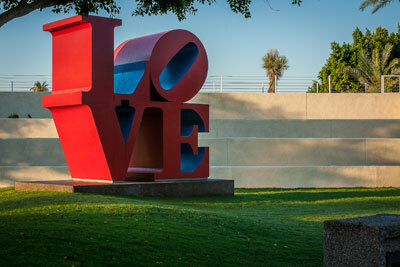 The city has received hundreds of comments from residents, local businesses and the arts community. “We have spent two years basically talking to people from all walks of life, and it’s been really enlightening and useful,” architect Diane Jacobs said. 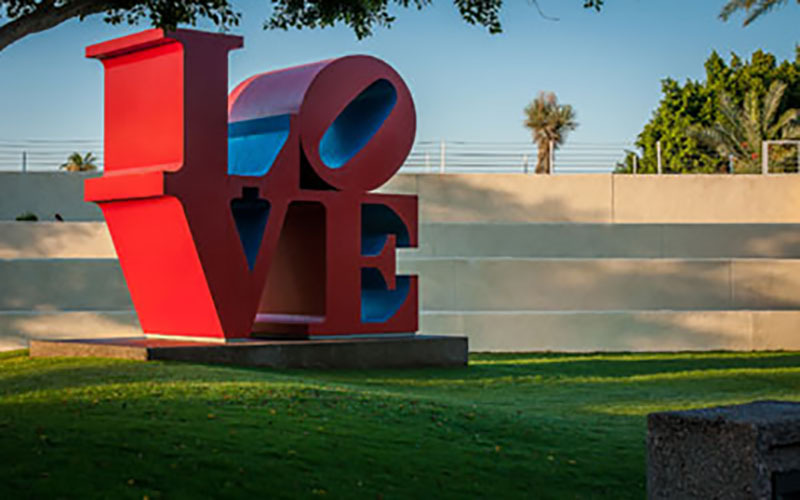 The Civic Center Mall in downtown Scottsdale includes city hall, a library, an outdoor amphitheater, green spaces and the iconic LOVE sculpture. The master plan’s goal is to address infrastructure deficiencies, improve public park amenities, expand performance and festival capabilities and create a destination point and economic catalyst. 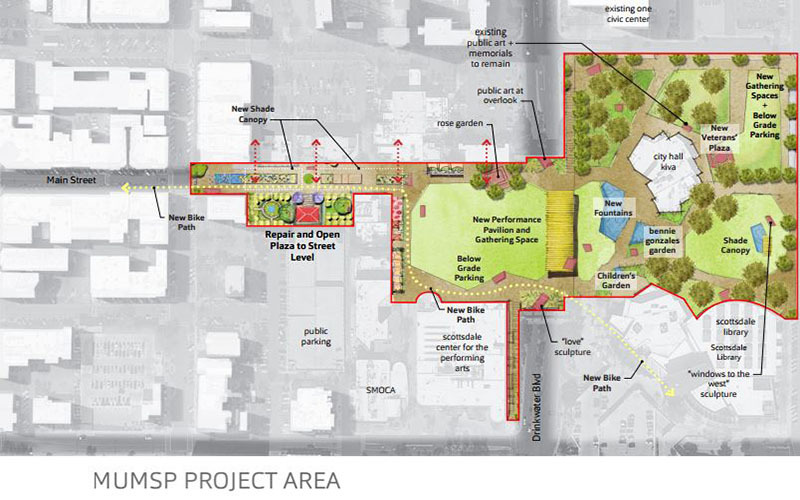 The proposed plan attempts to make all areas of the Civic Center more desirable and accessible. Officials said they hope the changes will attract large-scale tourism events and become the city’s epicenter for open public space, arts and culture, municipal buildings and public gatherings. Residents have told the city that they found it difficult finding their way to and through the Civic Center. To address this issue, the city may add better signage to direct people to merchants and cultural venues. Senior Project Manager Gary Meyer said they also plan to add a bike route to traverse through the mall, update restrooms, install better lighting and construct an outdoor performance pavilion. At the January meeting, many residents expressed their approval to the suggested changes, but some voiced concerns about protecting historic landmarks and existing spaces and shops. The only change residents raised concern about was the new locations for restrooms, and city officials said they would consider the feedback for the next draft. Erin Walsh, a spokesman for Scottsdale, said the project is currently unfunded. The city has only identified funds to pay for the master plan. “The master plan is a road map for everything we want to do in the future to improve the area,” Walsh said. The next step is to get approval from the Development Review Board, the Planning Commission and City Council.